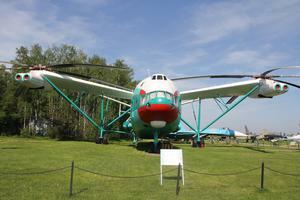 Prototype for the Mil Mi-12. 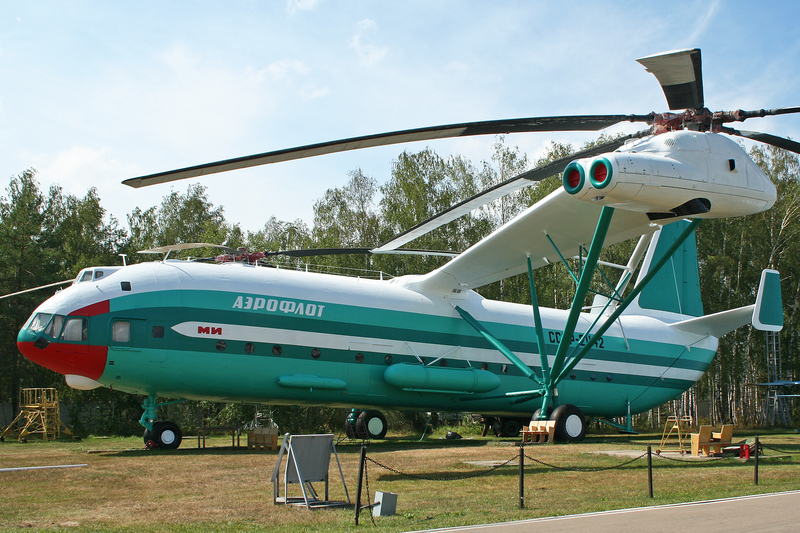 Developed in 1967, the V-12 (NATO Designation: 'Homer') was known as the largest helicopter in the world, but did not enter production. 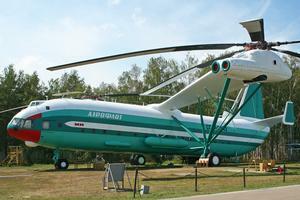 Cabin capacity is 25000 kg payload (40000 in a record flight) or 196 passengers in addition to the 6 crew. The aircraft has a 2 level nose section with the pilots sitting above the loadmaster's compartment. Resources related to the V-12 , provided by the Vertical Flight Society. Resources related to the V-12 , provided by public sources across the internet.